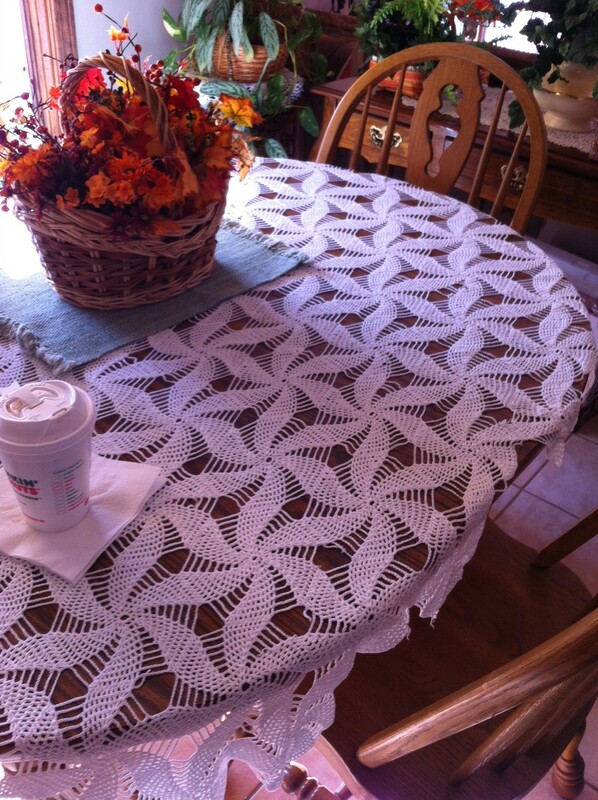 While we were visiting my parents this Thanksgiving holiday, I remembered to take a few pictures of my grandma’s crocheted tablecloth that now decorates my mom’s kitchen table. 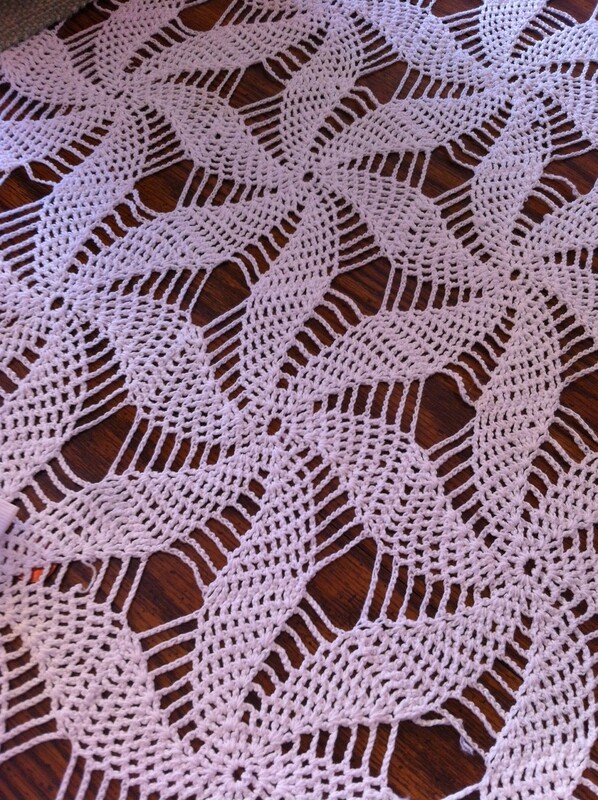 Grandma loved to crochet doilies and tablecloths. Beautiful isn’t it?